So, I am having one of those days today. You know the ones where you and your child have decided you're not friends. You still love each other dearly but just for today, it's not the romance it could be. It's partly my fault for crying when J woke up at 4:50am to start the day. I just couldn't face another day starting at 5am. This has been happening for a month now and I am so totally over it. At least I don't have to go to work today and can nap at some stage. Do you know what J did when I started to sob? He laughed. An omen for the day I think. 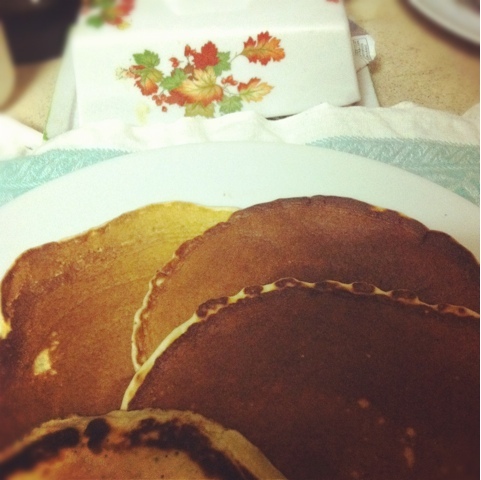 To make up for the shaky start I made some pancakes for breakfast. Yum. I think this may become my new Saturday morning ritual. J enjoyed eating them but cried pretty much the whole time I was trying to make them, tugging at me and squeezing his way between me and the kitchen bench. I put on In The Night Garden but for some reason he whined on and off the entire episode. No idea why. He has decided this morning that I am not allowed to sit on the couch. I am not allowed to go in the kitchen. I am not allowed to touch or play his ukelele and am not allowed to be typing this. The laptop is currently on top of the piano and I am sneakily doing this in between answering J's bidding. 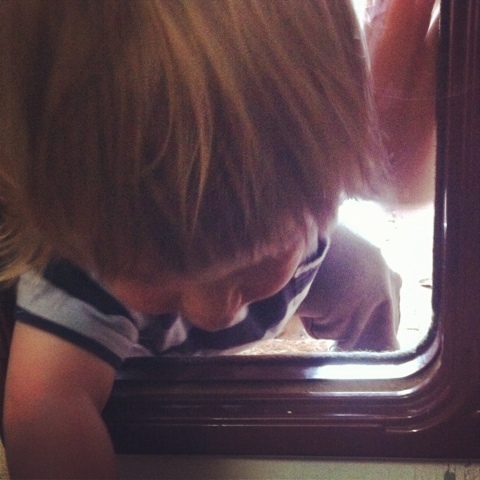 Meanwhile, J is currently trying to crawl back inside through the cat-flap. And I am left here, standing in the lounge room not allowed to do anything other than be. Perhaps now is a good time to practice some mindfulness. Maybe J is a regular little master, I his humble student and we are friends after all. Daylight savings starts here tonight. Fingers crossed 5am becomes the new 6:30-7am for the summer or I am going to rapidly sink into a sleep deprived coma. Happy Saturday folks!